Here is a selection of listings and links to find out more about some of the best advertising, marketing and business development events taking place in May 2019 in the UK and Europe. The social media conference for brands, agencies, creators, influencers, marketers and freelancers as well as the tools and tech they use. The event features three days of exciting panels, workshops, keynote sessions and networking opportunities. The Digital Marketing Solutions Summit brings together digital marketing professionals for a day of interactive seminars, business meetings and networking. 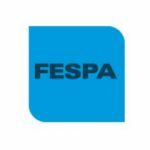 FESPA Global Print Expo 2019 is Europe’s largest speciality print exhibition for screen and digital wide format print, textile printing and signage solutions. Print industry visitors have the opportunity to experience the latest products and innovations on display from 700 global manufacturers and suppliers. 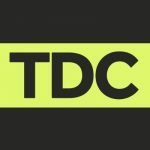 The 12th Annual Thinking Digital Conference is the place to learn about new technologies, hear innovative ideas and begin to understand how our future is being shaped by them. A one-day, brand-led conference and networking event designed to drive growth and inspire authentic engagement with re-imagined, future-proofed strategies which maximise the ROI of innovative content, successful influencer partnerships as well as savvy platform and paid media tactics. 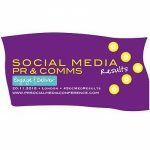 Find out about new social media trends, technologies and future opportunities. D&AD Festival is a three-day creative spectacular celebrating the world’s best in craft, creativity and culture. The festival runs alongside the world-renowned awards programme. There will be three days of keynotes, fireside chats, workshops and masterclasses from the world of advertising, art, design, fashion, film, and much more. 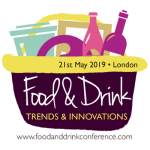 Join 38 food and drink brands and retailers at this one-day, brand-led conference and networking event. Presenters reveal strategies to monetise trends, flavours and innovations with exciting products and marketing. 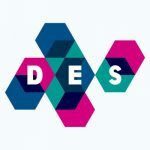 Join DES2019, the world’s premier event dedicated to digital transformation, to acquire cutting-edge technology, innovative products and solutions that will help you boost your business. Redefine your business strategy and become the leader of your industry in the digital era.